The Rail Delivery Group have announced that rail fair prices are set to increase yet again with the new rates coming into effect on January 2, 2015. The move is expected to see the pockets of thousands of passengers hit hard as all regulated fares will be affected including season tickets. Commuters seem to always have to endure rising costs but the only sliver of good news in this announcement is that the increases will be the lowest average hike in the last 5 years. Fares will go up an average of 2.2% with a cap on the biggest increases set at 2.5%. Director General of the Rail Delivery Group has defended the price hike saying "Money from fares goes towards running and maintaining the railway. This benefits not just passengers and businesses but communities across the country, by improving journeys, creating employment and helping to boost the economy. 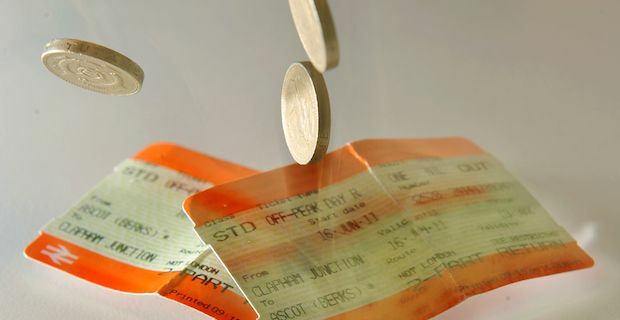 For every £1 spent on fares, 97p goes on track, train, staff and other costs while 3p goes in profits earned by train companies for running services on Europe's fastest growing railway." There will now be thousands of passengers who will have to fork out more than £5000 per year on their season tickets. What will really sting though is that the increase will be above the rate of inflation meaning that for the majority their train ticket will increase more than their take home pay and that impacts very negatively on people's wallets. Manuel Cortes from the TSSA rail union has expressed bemusement at the continuous price hikes that rail users have to endure year on year. In a bid to showcase the huge burden that commuters now face when purchasing rail tickets, he said "It is time to stop this annual persecution of passengers with year-on-year hikes in fares. It is now cheaper for a family of four to fly to Iceland to see Father Christmas - £224 - than it is for one person to buy an any-time walk on return rail fare from London to Manchester - £321."